The West Coast Soccer Association is proud to announce the Game of the Week. SDSU and UCSD mens teams will be playing on Friday Oct 7th at UCSD' RIMAC Fields. This game is getting some traction in the community. UCSD Social Media site has over 150 confirmed fans and SoccerNation did an article on this event last year, here is the the article link. SDSU is coming in with a win over Cal State Fullerton and a second place finish in the 2016 Aztec Cup. UCSD Men were last in action vs UCI A. 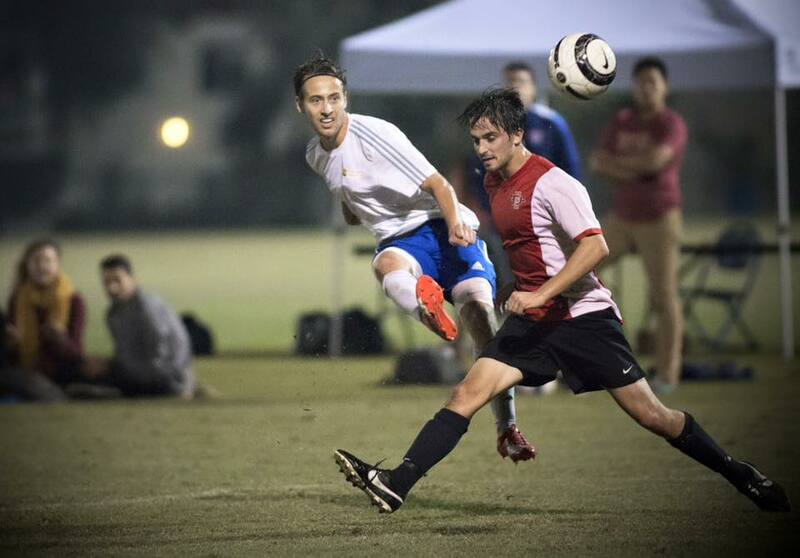 The UCSD Men’s club soccer team eased to a 3-0 victory in dominant fashion against continuing their undefeated start to the Fall season (2-0). From the get go, the Tritons looked the most threatening and it would be the theme for the entirety of the game. In the 4th minute, Senior Kazu Otani (#14) played a wonderful through ball to Junior midfielder Quinn Frantzen (#23) and went on to poke the ball around the keeper but followed it with a heavy touch and the chance went begging. Four minutes later, Sophomore Jonah Gooden (#12) found the back of the net after a series of penetrating balls to break the Anteater’s backline, and go one on one with the keeper. Once again in the 13th minute, the Tritons found themselves in a one on one situation with the keeper, though this time Junior Firas Eid (#10) could not keep his composure and finish. One minute later, Gooden would earn his brace after he slotted home the ball from 6 yards out. 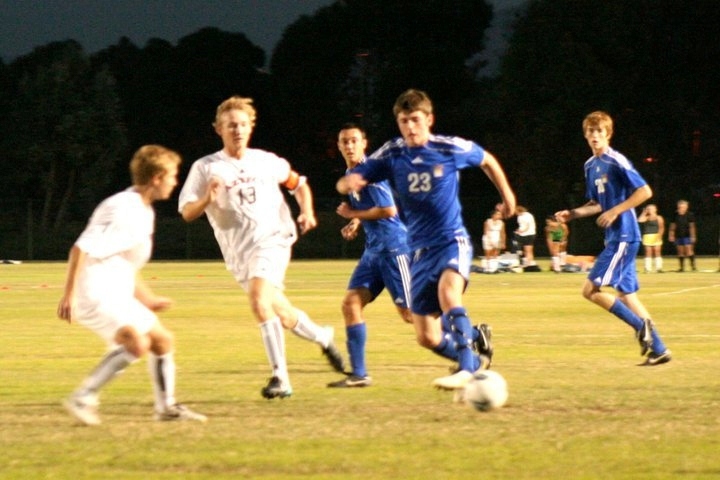 Although being up 2-0 inside 15 minutes, the Tritons struggled to convert most of their chances during that time and ultimately throughout the game. UCSD held a tremendous advantage in possession, UCI did not see any of the ball in the first half. The Anteaters attempted a mere one shot in the first half and it came from a speculative 40 yards out. In the second half, UCSD made a handful of substitutions, which disrupted the rhythm of their game. As a result, UCI held a good share of possession during the half and earned their first shot on target in the 59th minute but that was all they could manage. The Tritons attempted to generate opportunities like they did in the beginning of the game but could not do so until the 69th minute when, Sophomore Christian Gunther (#9) shot from just outside the 18-yard box and hit the post. Even though still dominating the game, several UCSD players began to show signs of frustration. Garen Arabian (#19) was issued a yellow card for kicking the ball after the whistle had already been blown and later Senior Mike Ranis (#7) received a booking as well for repeated fouls. Next, UCSD will play host to local rivals, San Diego State on Oct 7th at the UCSD RIMAC Fields. Kickoff is set to begin at 7:00 p.m. The UCSD Women will also play the UCR Women team at 2:00pm at the UCSD Sports Deck. 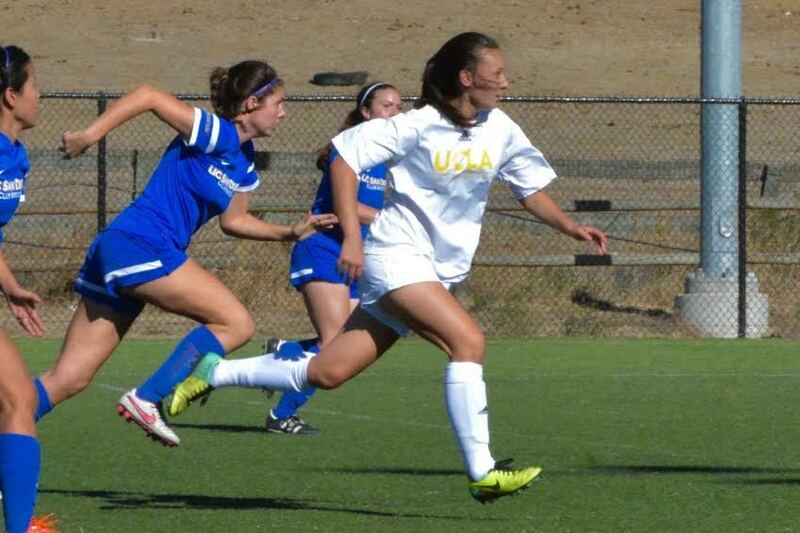 The UCSD Women’s club soccer team is looking to bounce back from 4-0 defeated by UCSB. “Definitely pleased with the result, it was a good way to start the season...there is a lot of good creativity and good effort and we moved the ball really well,” said Schwartz in speaking after match. The Tritons also play away on Sat against UCI.